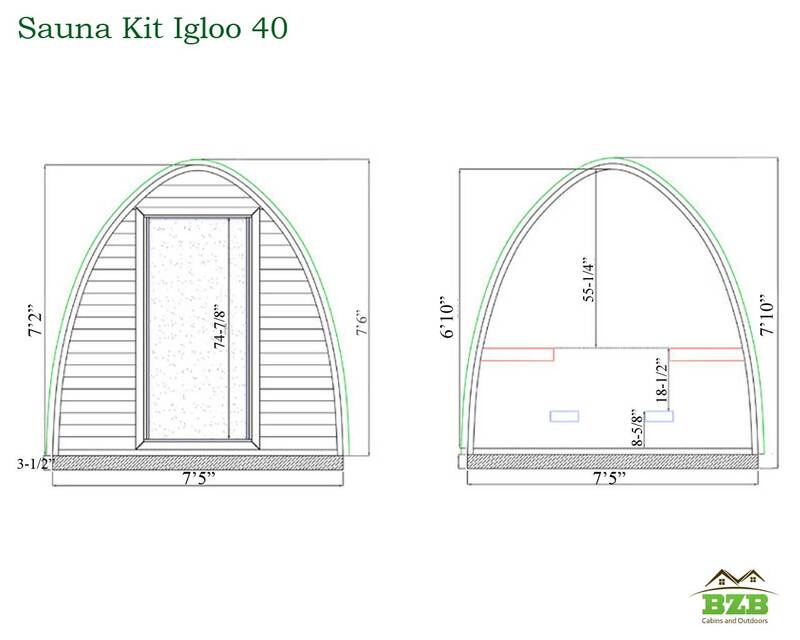 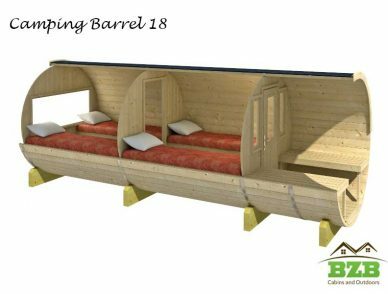 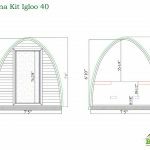 Our Barrel Sauna Igloo Kit 40 is an elegant, luxurious way to relax in a nourishing sauna in your own backyard. 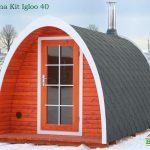 It comes with everything you need in an easy-to-assemble kit, so you’ll have it built in no time, steps from your door. 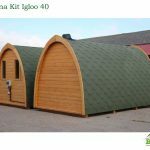 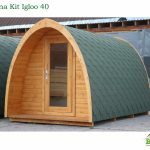 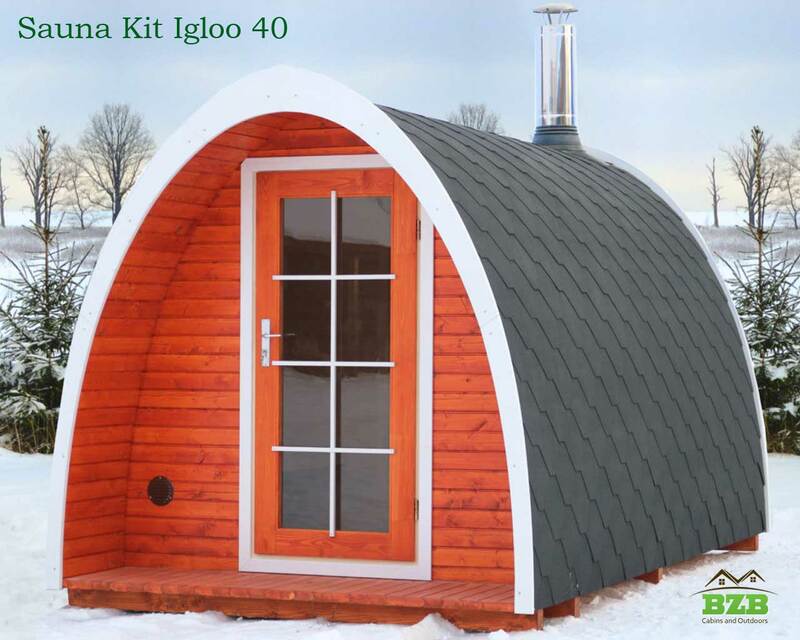 This two-room sauna holds as many as eight adults and the curved igloo design blends harmoniously into any garden or property. 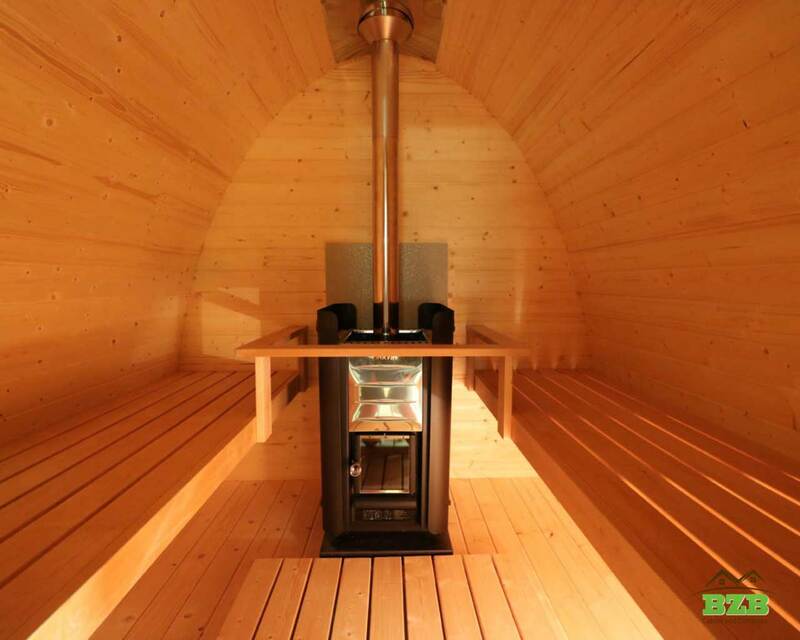 We live in a world dedicated to high speed everything, so when you slow down and relax, you deserve to do it in style. 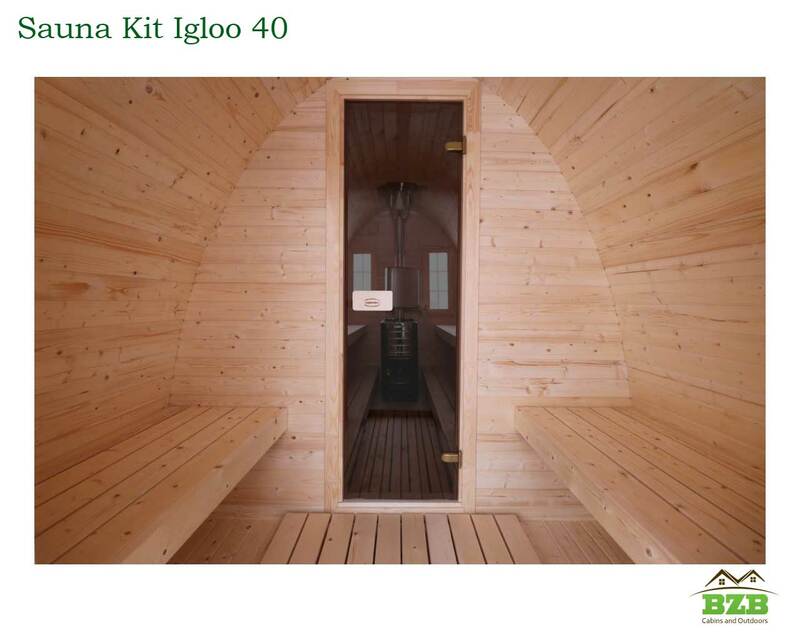 Our Barrel Sauna Igloo Kit 40 is an elegant, luxurious way to relax in a nourishing sauna in your own backyard. 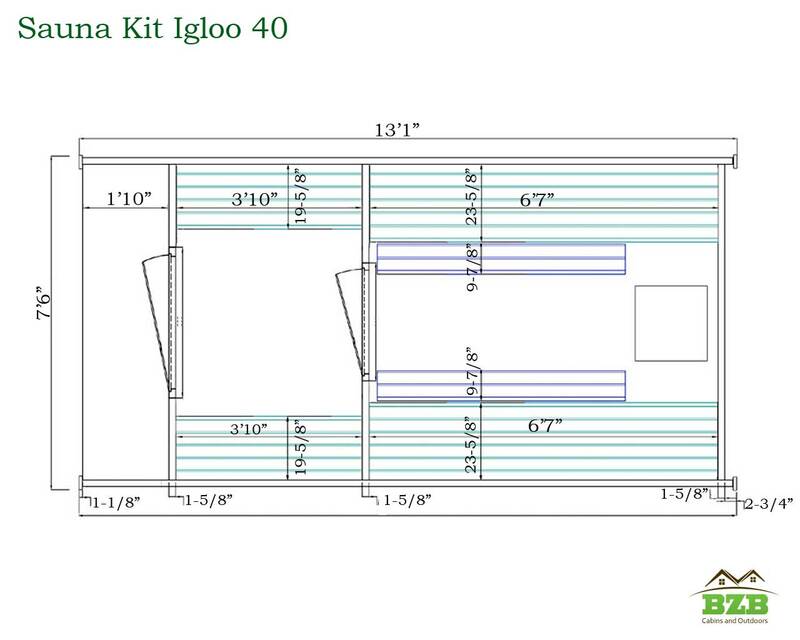 It comes with everything you need in an easy-to-assemble kit, so you’ll have it built in no time, steps from your door. 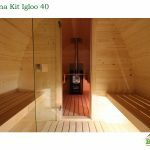 This two-room sauna has two benches, and each one is 23-5/8” x 6’7”, long enough for the tallest member of the family to stretch out. 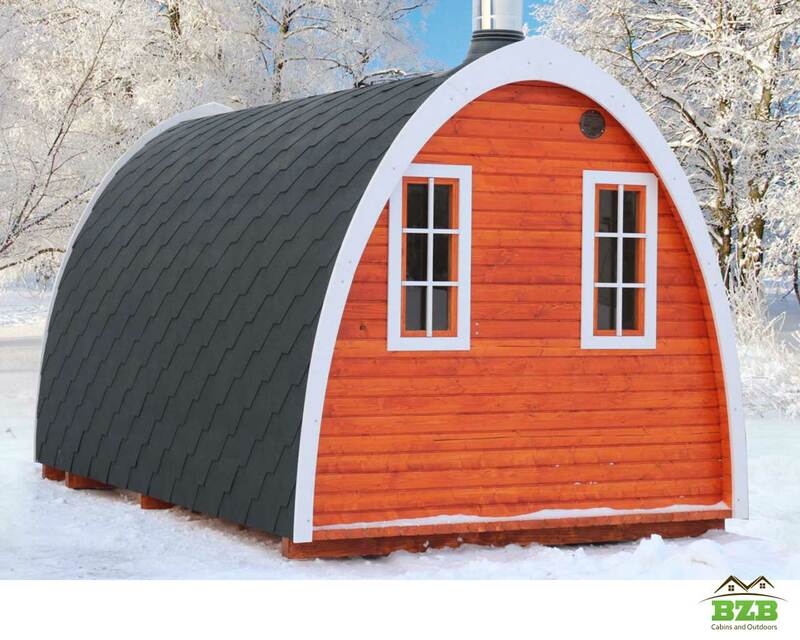 It holds as many as eight adults…or just you! 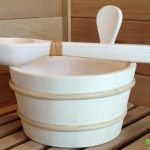 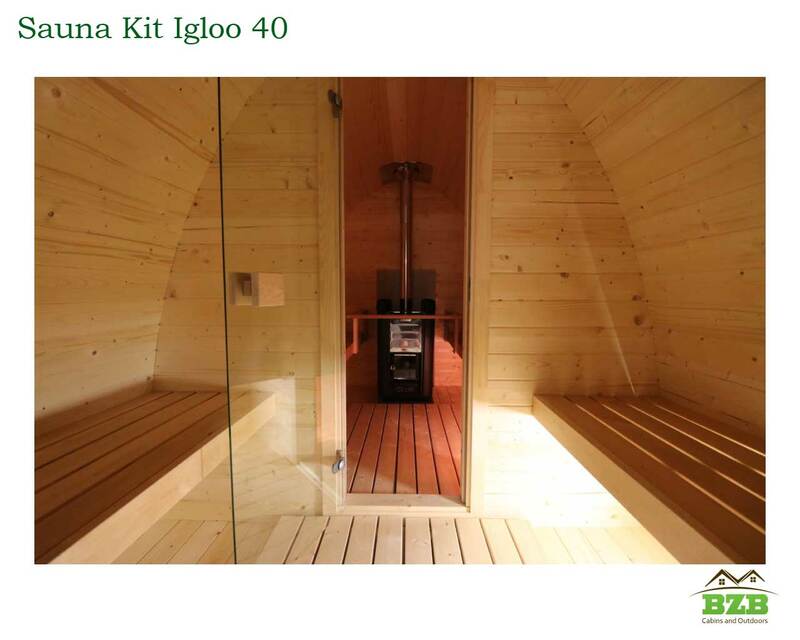 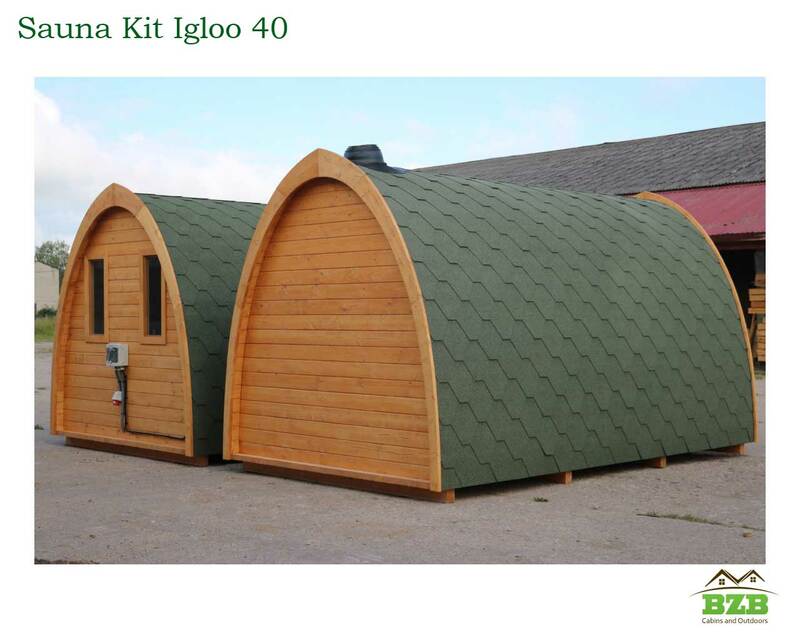 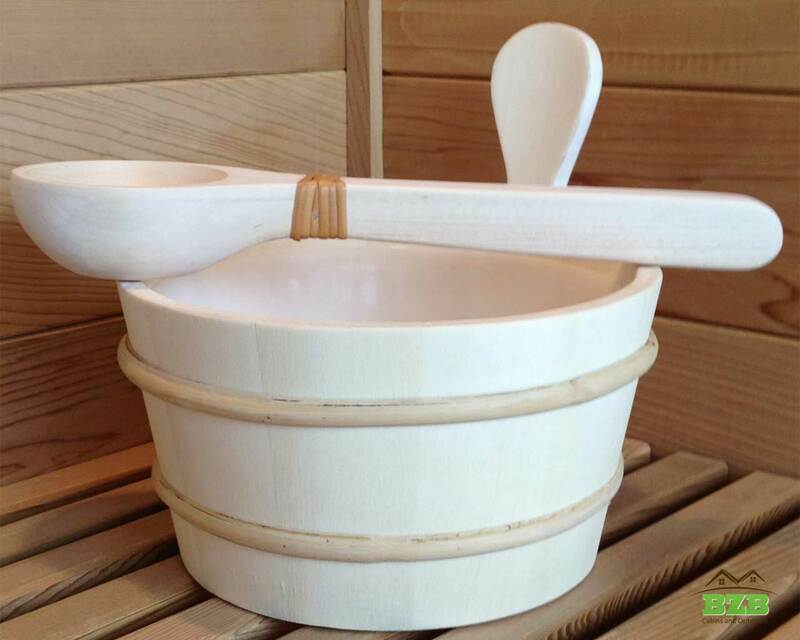 The Igloo Sauna is made of beautiful Nordic Spruce, and you can refinish it however you choose. 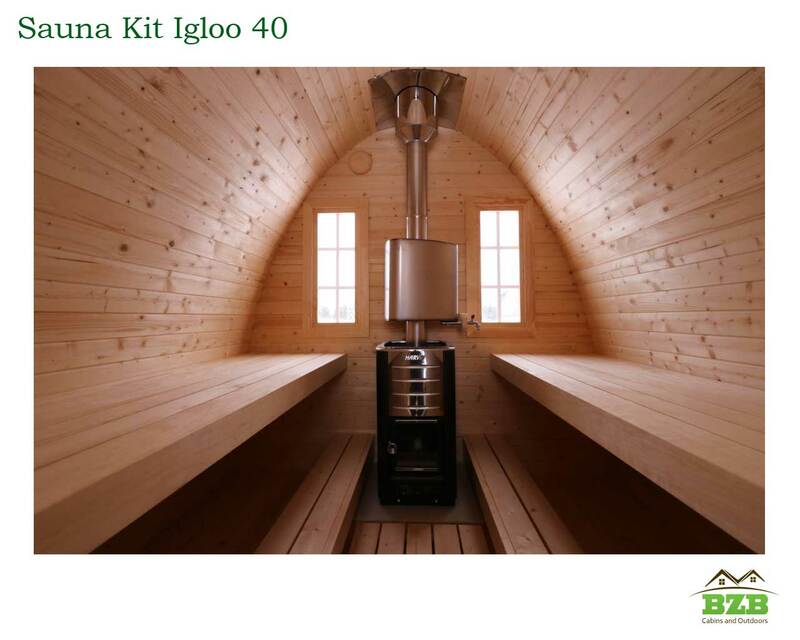 It comes with a Harvia FLB-60 Electric heater, or a Harvia M3 wood burning heater, so you can decide what kind of heat you want. 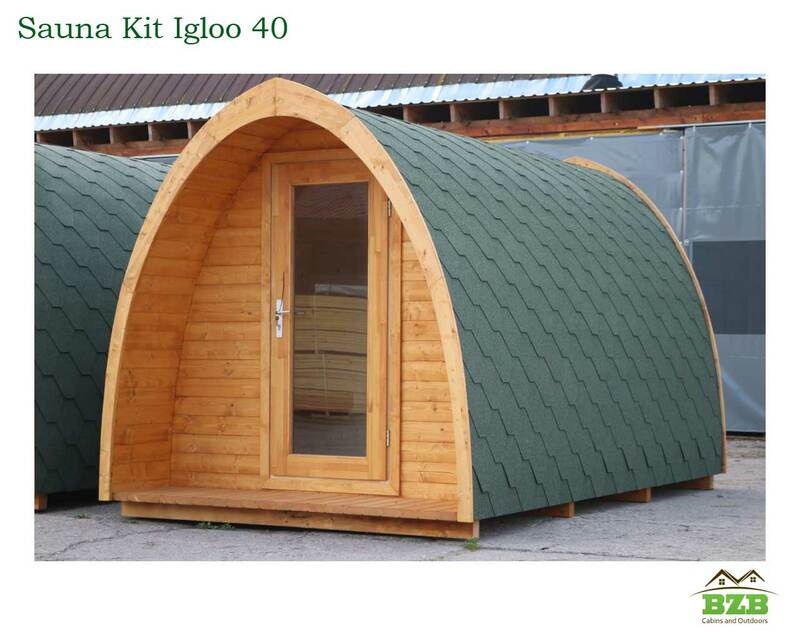 The door is 24” x 66”, and the terrace is covered, so you are sheltered when you step outside. 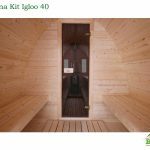 And if you order today, we will upgrade the door to wood, absolutely free. 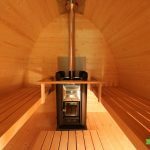 The sauna’s overall dimensions are 13’1” long x 7’5” wide x 7’10” high, so it easily fits on any backyard property. 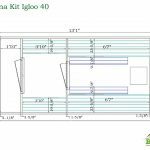 One room is 3’10” long x 7’2” wide x 6’10” high. 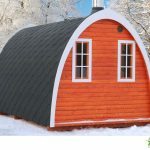 The other is 6’7” long x 7’2” wide x 6’10” high. 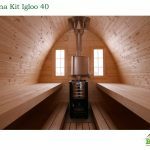 There are two windows to gaze through while you enjoy your sauna, and we include all roofing shingles and foundation materials. 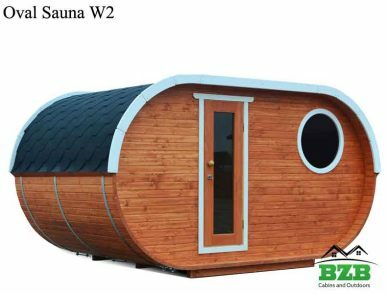 In other words, there is nothing stopping you from having your own luxurious sauna mere steps from your back door…but you have to order it now!